Amidst all the geopolitical uncertainties Asia remains a stable continent. It has the worlds largest and fastest growing economies with unparelled investment opportunities and with US and Europe in recession the center of gravity is shifting to Asia which has a stable investment climate in terms of security and business. But amidst all the varied threats one threat remains high on the agenda of all Asian nations and that is China. As China foments instability many regions of Asia from Spratlys to South Asia remain volatile. China has installed uncertain policy frameworks and its threatening postures remain a strategic threat to the region. The Chinese foreign ministry in its press briefings always talks about peaceful coexistence and shared development yet embarks upon expansionist policies with belligerent overtures. Thus it is difficult for Asian Countries to believe in the so called genuine declarations of peaceful coexistence by Chinese rulers. 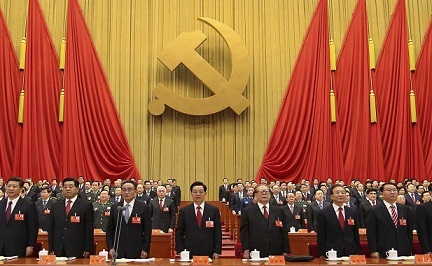 Unlike democracies the strategic intentions of China remain hidden in the murky and closed politics of the Communist Party and Military.